This is the first time video was ever shot from an aircraft, exactly how they mounted the camera to the flimsy Wright Flyer is anybody’s guess, although I suspect an early precursor to modern day duct tape was heavily involved. The footage lasts just over 30 seconds and shows the take-off, climb and a bank before cutting out, I’ve been unable to find a longer version but even this short video gives an amazing impression of what it was like to fly the skeletal plane. 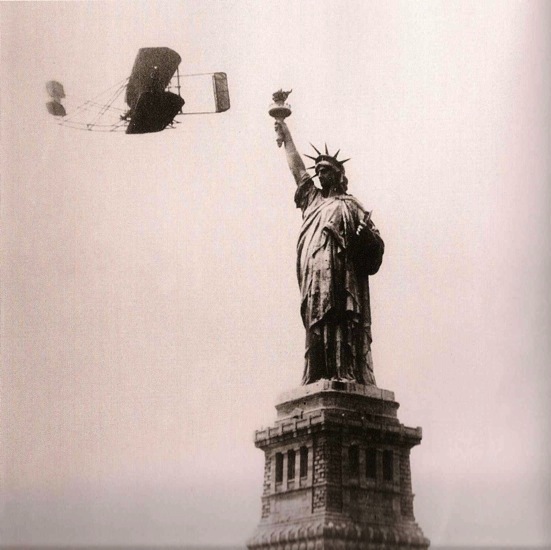 It still amazes me that just 100 years after this was shot we have have A380s, F-22s and Space Shuttles.